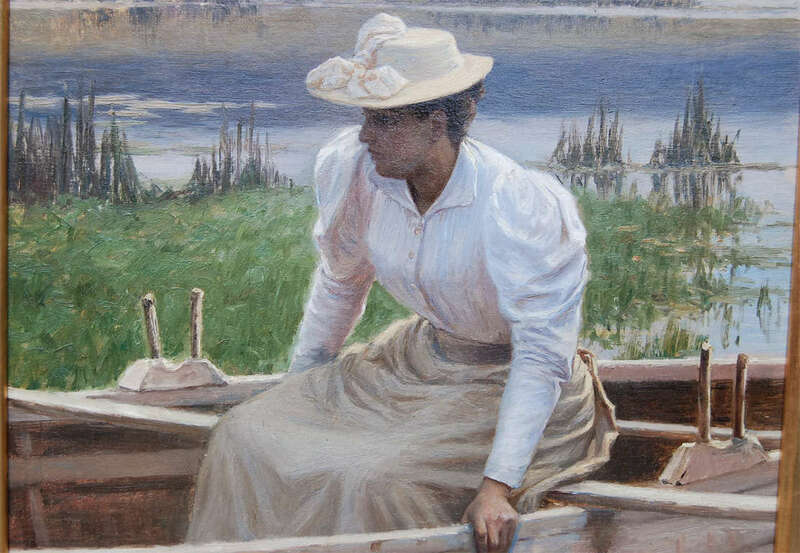 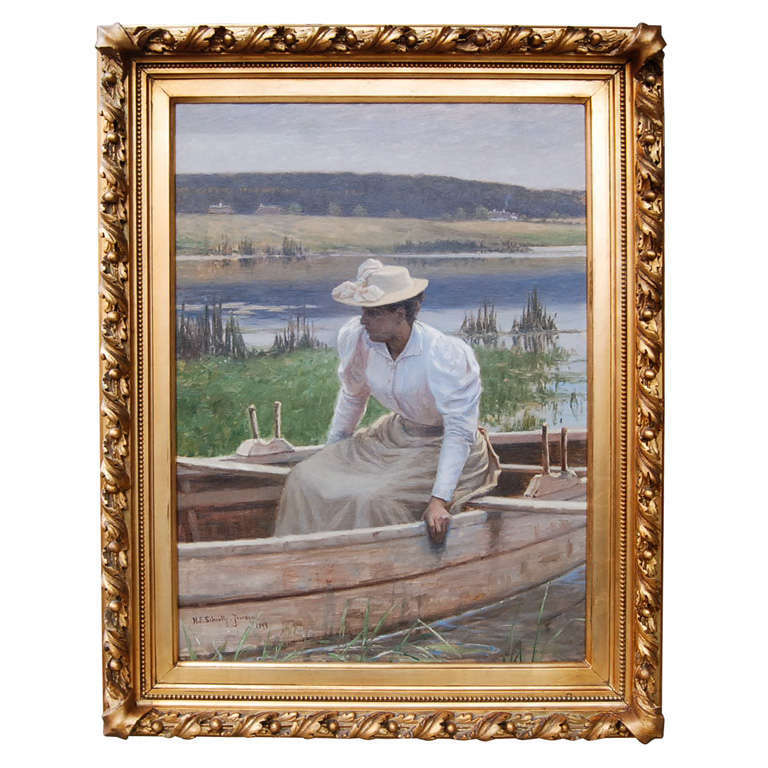 Classic Danish 19th century painting of a lady in summer attire on a lake in a rowboat by Niels Schiottz-Jensen signed and dated 1894. 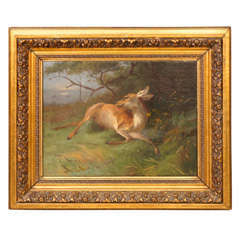 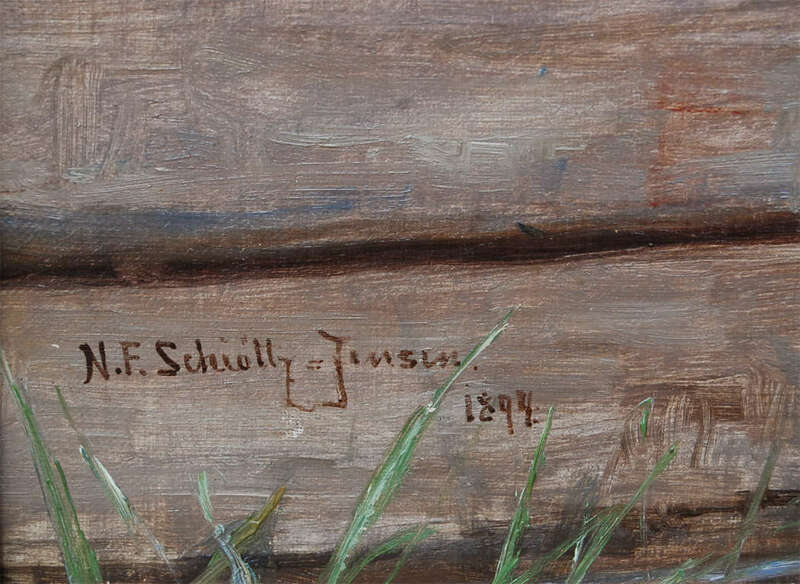 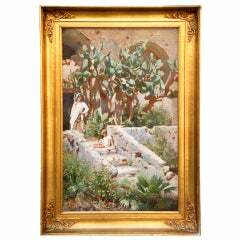 Schiottz-Jensen was born in Copenhagen in 1855, travelled in France and Italy, studied in Paris and exhibited for many years at Charlottenborg. 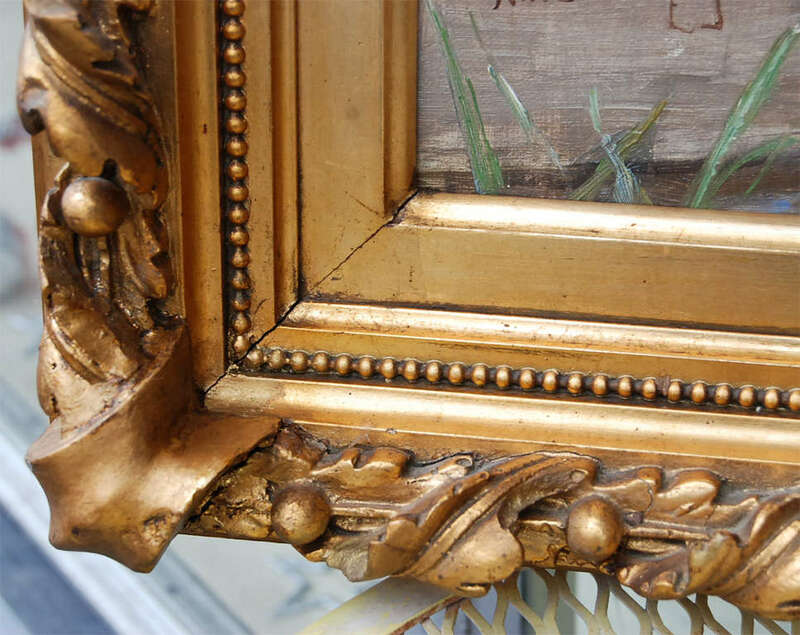 The frame is original, 3.5 inches thick. 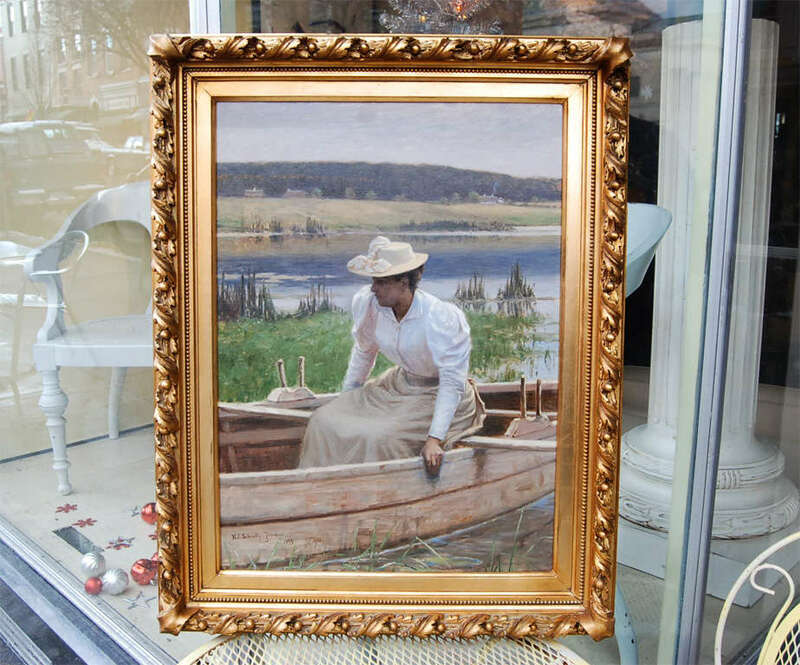 Original Painting by Austin, "Swan Lady"